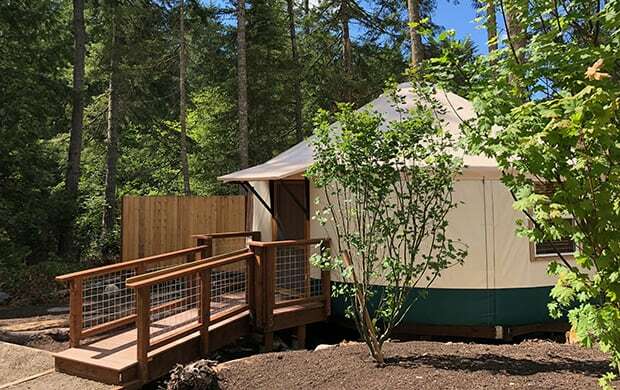 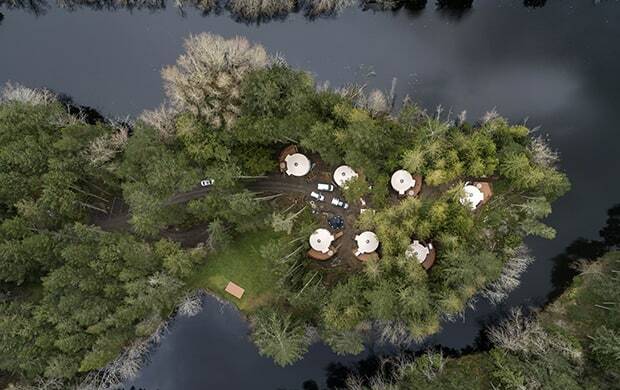 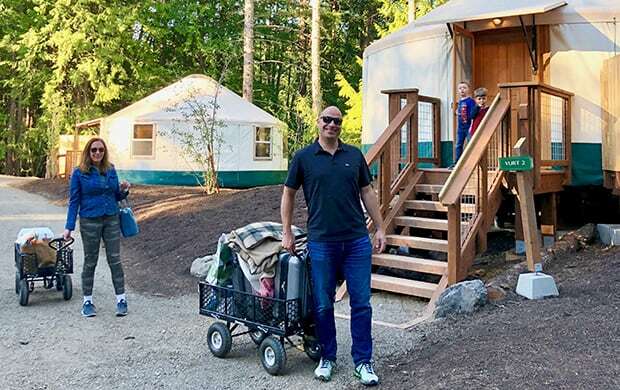 Lakedale’s new Yurt Village takes glamping to the next level of glamorous! 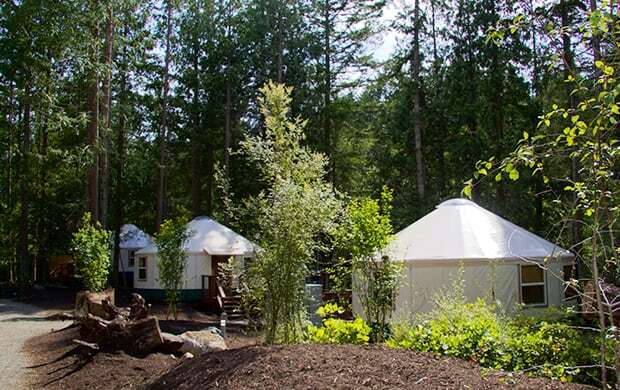 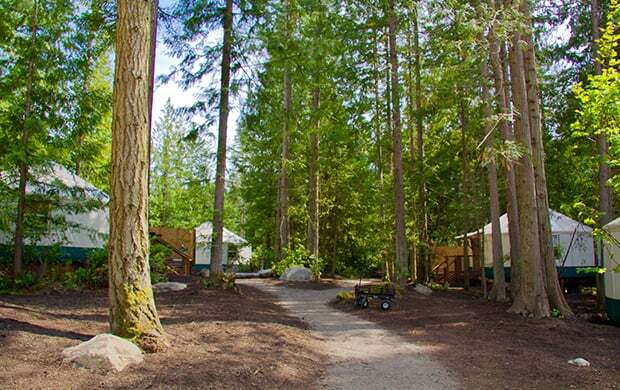 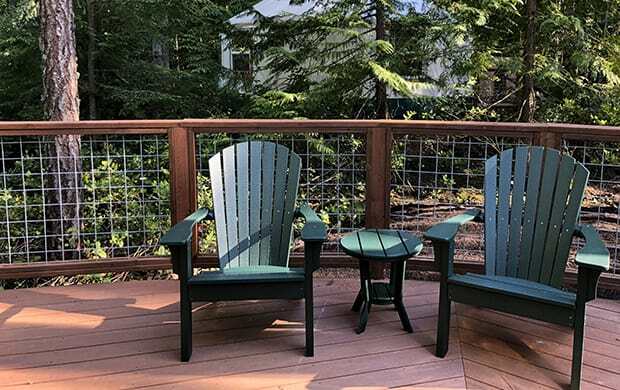 Our seven yurts are sited in a private forest surrounded by Fish Hook Lake, and each 24-foot diameter unit is sensitively placed to offer a secluded getaway from the hustle-bustle of the “real world”. 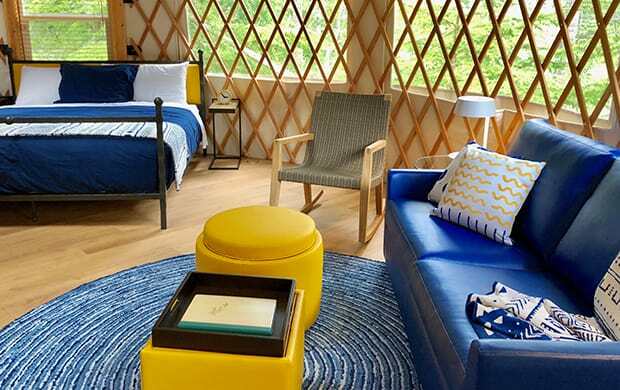 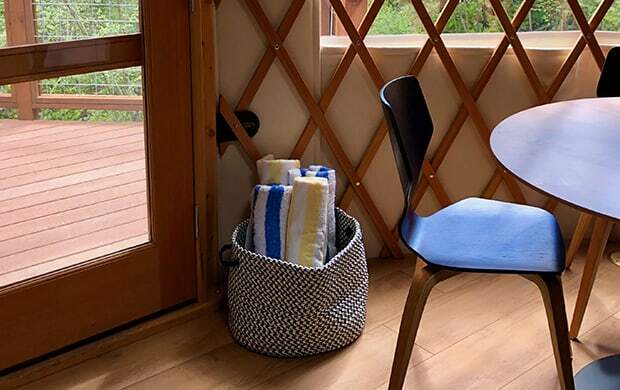 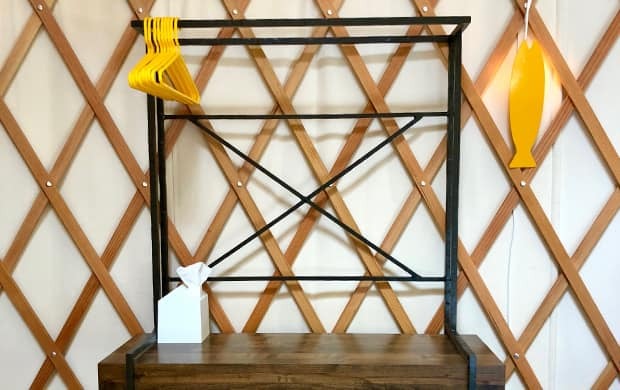 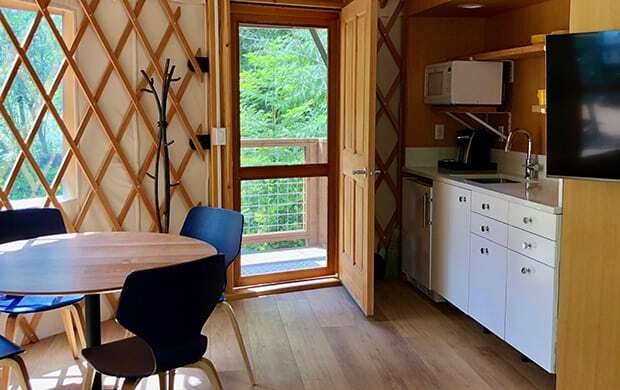 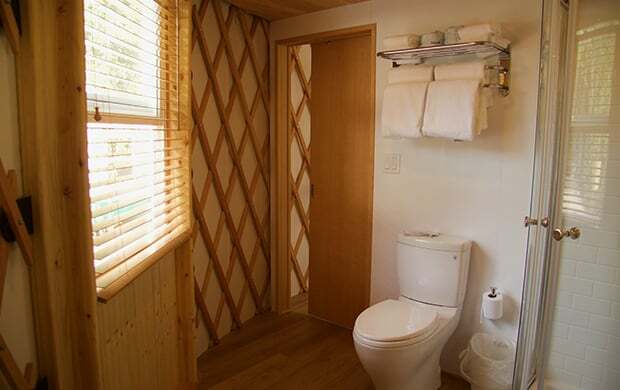 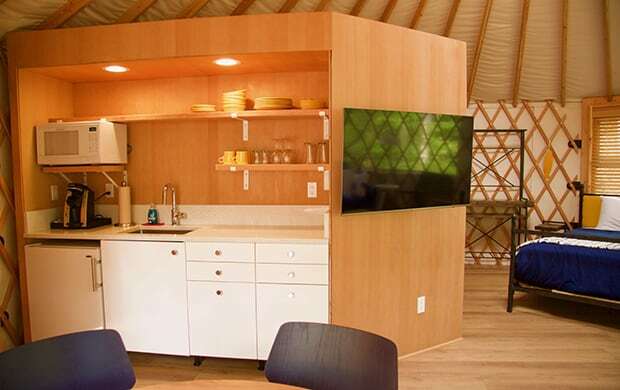 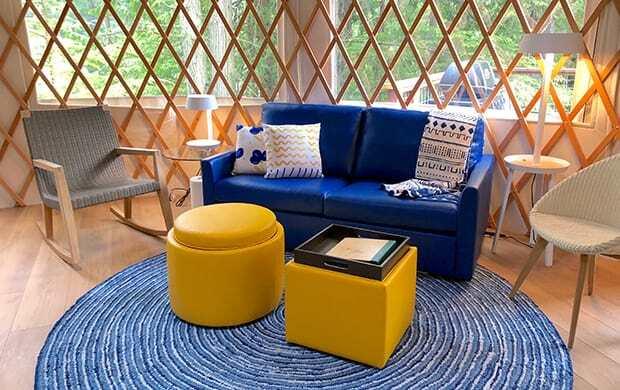 With 450 square feet of modern luxury, each yurt has a living area with queen sleeper sofa, dining area, wet bar and refrigerator, king pillow-top bed, and a full bath with shower. 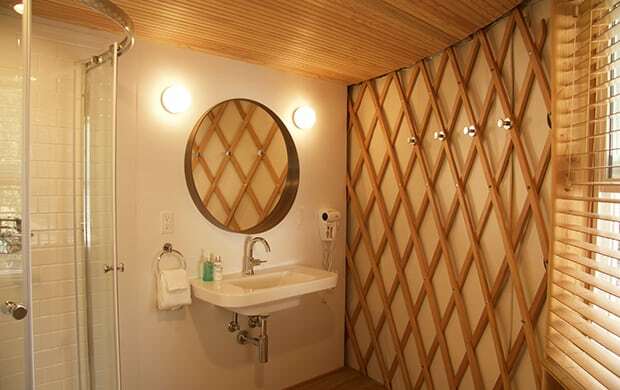 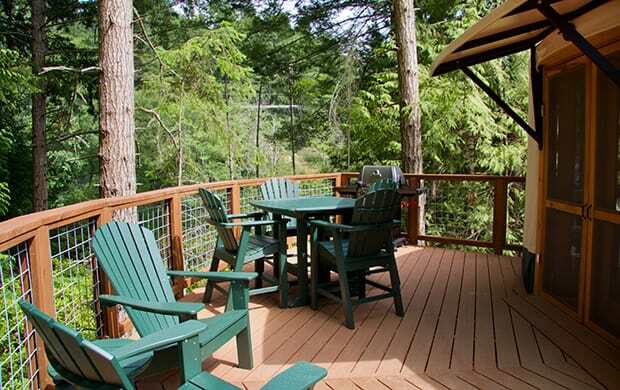 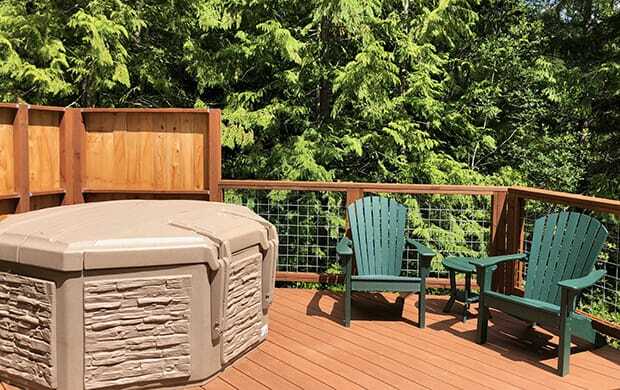 But the best part of your yurt stay could just possibly be the large wrap-around deck outfitted with a hot tub (yes, you read that right! 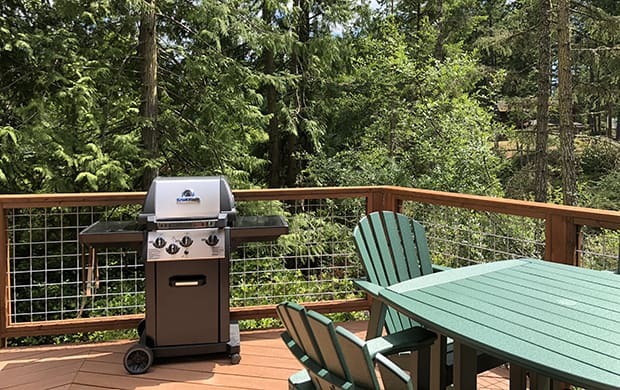 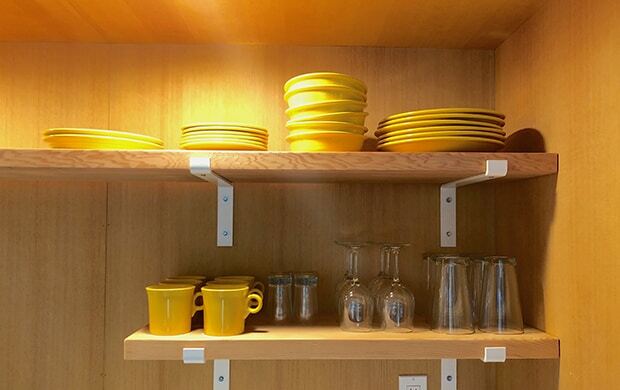 ), and dining area with BBQ. 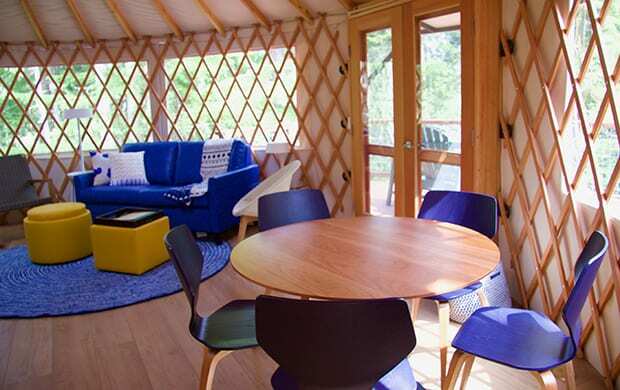 The Yurt….reinvented! 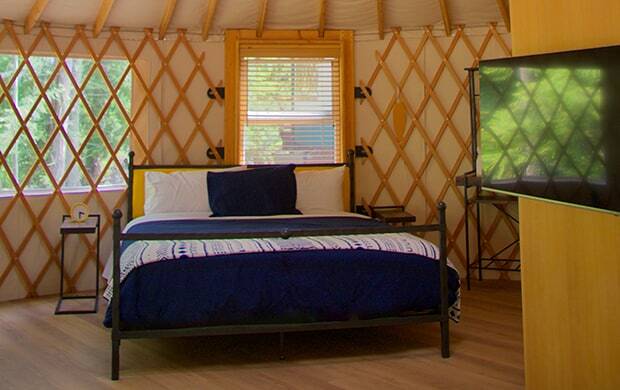 Learn more about our yurts or make a reservation!